How we reversed a $300K/mo burn and hit profitability without laying off a single employee. Summary: The recent demise of Nasty Gal showcases the difficulty of reaching profitability especially when the startup landscape incentivizes capital inefficiency. By making sustainability a company wide initiative our company was able to reverse a >$300K burn rate and hit profitability over the course of a year and half without layoffs or downsizing. Last week, popular fashion brand Nasty Gal announced it would be selling to Boohoo.com for the small sum of $20M (at it’s peak the company was doing $80M+ in revenue). This comes after filing for bankruptcy late last year. For many this was shocking. How could a company seemingly on top of the world go downhill so fast? After all, they had recently raised a $16M series C and their founder, Sophia Amoruso, had been touring the country promoting an upcoming show about her life as a young, successful business mogul. However, anybody in the startup industry knows this isn’t as rare as it might seem. From Zenefits to Theranos, the stories of high profile startups who burn through millions, or even billions, of dollars before crashing to the ground are all too common. After a company hits rock bottom, post-op articles seem all too happy to point out how the company screwed up: irresponsible spending, lack of management, poor business models etc. While it’s easy to demonize these failures, I always feel sympathy. As a founder myself — I’ve been working on BrandYourself for 7 years — going bankrupt and failing is my biggest fear. I also know first hand that focusing on profitability and sustainability is hard, especially in a landscape that incentivizes capital inefficiency. Over the last 5 years, VC/Private equity has probably poured more money into private companies than ever before. They’ve also become increasingly obsessed with hitting billion dollar grand slams. While access to capital is generally a good thing, this combination encourages companies to prioritize revenue/customer growth even at the expense of strong unit economics. Even if a founder recognizes things need to change, it’s not easy to fight against the larger market current. It’s difficult to slow down and address increasing churn rates or high acquisition costs when a competitor down the street just raised a monster round to acquire all your customers. It’s even harder to motivate your employees to take a “lean” mentality and tighten their belts when other companies in town are offering above-market salaries and daily free lunches. The result? Many companies end up failing because of capital inefficiency not because they were bad ideas or bad companies. 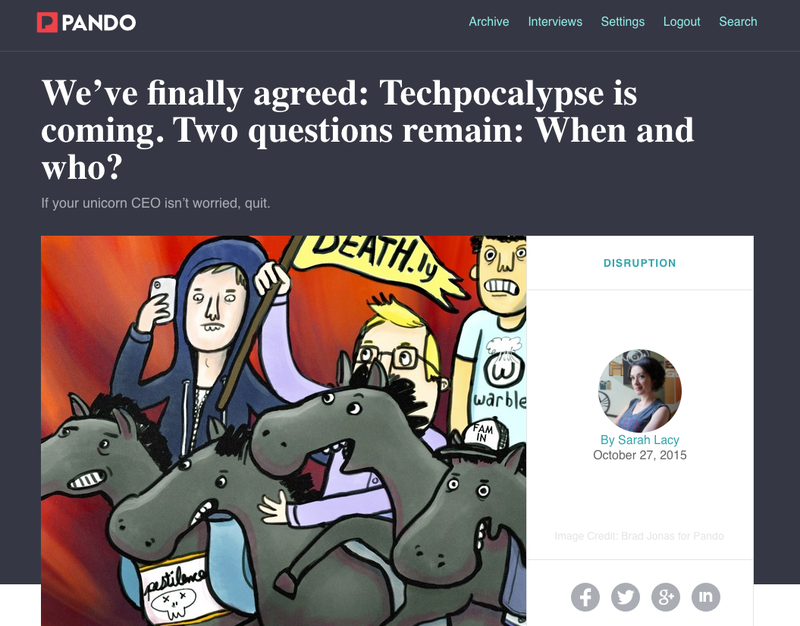 This trend has been written about extensively — especially over at Pando. I want to be clear: this is not an indictment against VCs. VCs are an important element of the startup ecosystem (ours are great). It just means founders need to be in the driver’s seat when it comes to prioritizing sustainability to their employees, investors and their board. To control our own fate. We didn’t want to rely on a funding round that may never materialize. If we did decide to fundraise, we’d be in a position of power. As the old adage says “the best time to raise money is when you don’t need it”. We wanted to do this without having to layoff any of our staff, which was a tall order. In a start-up everybody is already overworked and understaffed so we knew simply telling employees (we had ~50 at the time) they needed to do more with less would cause contention. If we wanted to change course without cannibalizing growth, we needed buy in from everybody — not just management. While it may seem obvious to you as a founder, “getting more profitable” doesn’t always translate as a high priority for day-to-day employees. They don’t see it as life or death. They’re not looking at burn rates or run rates — it’s not their job. They assume the company is safe, so added pressure to do more with less can seem self serving. Why should they? To put more money in the founders or investor pockets, while they work their tail off? Helping them understand the concepts of burn rates and run rates can help them understand that a startup’s life is always on the line. I even highlighted cautionary tales of startups who vanished overnight, despite being popular brands. At first I was worried I’d end up causing panic among employees, but it ended up being a motivating and empowering force. It helped everyone feel like part of the founding team with a unified mission, one that stretched beyond their daily job responsibilities. Everybody wanted to work together to make sure the company survived and thrived, unlike so many others. Here’s an email I sent to Directors and Managers before an offsite retreat. Hope you’re all as excited as I am for this weekend. Spending some time away from the office and thinking about the business from a perspective outside of your day to day is long overdue. I’ll be sending out a deck later today that will set the agenda for our brainstorming this weekend. In the meantime I wanted to start framing your thinking now. The goal this weekend is to brainstorm and hone down on some important issues, from how we cut down churn to how we improve employee morale. We will be discussing how we can accomplish these while also becoming profitable and truly becoming masters of our destiny. I can not stress this point enough. Once we are in a position of profitability, which we are so close to hitting, we suddenly shift to a position of power. We can confidently set budgets for new sales initiatives, or new comp packages, or whatever we think is important. We can do so without the fear of becoming one of the many startups who fold over night, even companies that were great ideas with hundreds of people (these literally happen every single month). I recommend you check all of those links out. 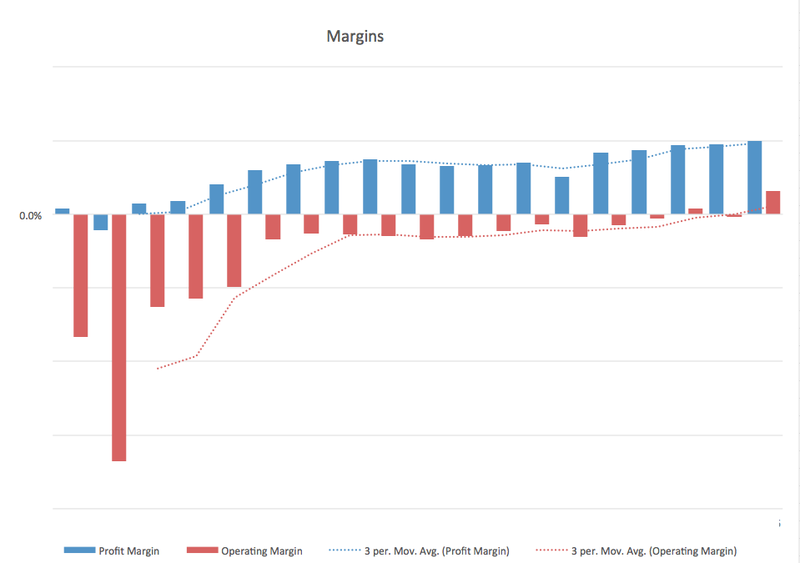 Once everybody was on board with hitting profitability, we wanted to create a simple metric that would encompass our goal and stretch across the company. We settled on “EBITDA ZERO” — when our monthly expenses no longer exceeded our monthly revenue. We wrote it on the wall. We brought it up every single meeting. We incorporated it into our training materials. If you asked anyone internally what the company was focused on — from managers to trainees — they would say “EBITDA ZERO” without hesitation. It was so ingrained in the company that, after a day of interviewing, a potential employee emailed me to say “well it’s clear everyone wants to be profitable!”. Apparently everyone he spoke to grilled him about his thoughts on capital efficiency. He was applying for office manager. It helped minimize the “scope creep” many companies get as they’re growing. Employees often want to help improve the company but they don’t know where to focus their ideas. Since the ideas end up ranging wildly in scope and purpose, managers get overwhelmed and end up ignoring all of them. This had the opposite effect, making everyone feel like a strategic part of the organization. It helped everyone think like a business owner, not just an employee. Not only were employees excited to come up with new ideas that would directly grow revenue, many went out of their way to find expenses they didn’t think we needed — even from their own department! Imagine if every one of your employees was looking for places to cut, so they could make more room for revenue generating initiatives. It helped employees appreciate and empathize with other departments. Many commented that it helped them appreciate the challenges of growing a business they hadn’t considered before. They recognized the push and pull between departments and developed cross-departmental business skills that stretched outside their day to day. We presented our financials to the entire company every single month. 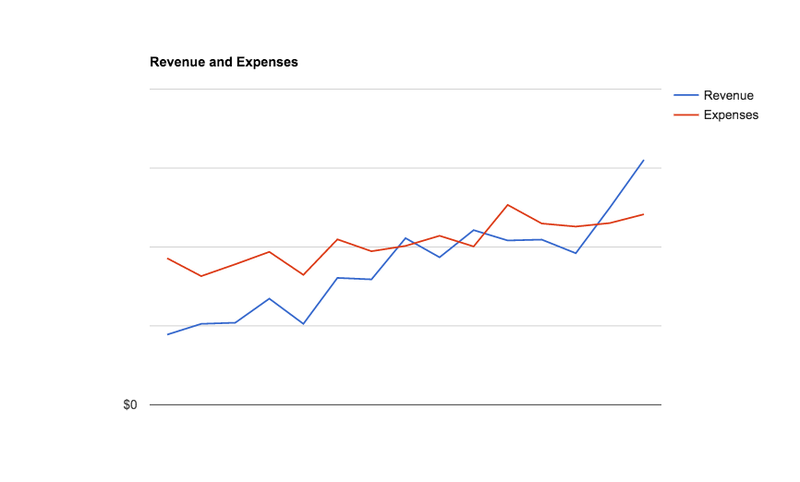 We showed where revenue grew, where it stagnated, where expenses grew, where they fell, etc. We talked about what worked, what didn’t, what needed to improve. This not only kept everyone focused and accountable, it became another strategic business goal we could share, regardless of departments. It helped people attach initiatives more clearly to business results. 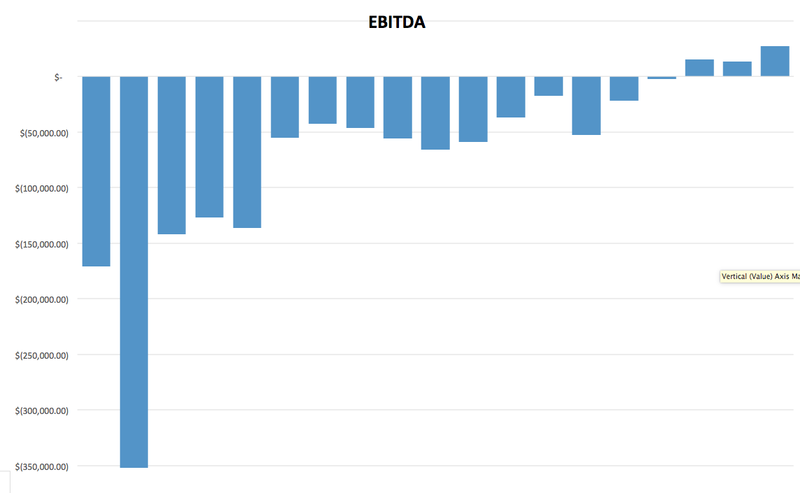 As I showed above, we ended up hitting EBITDA zero and reached profitability. It was a tremendous accomplishment for the business but it was even better celebrating with the whole team. Everyone had a sense of pride. Hitting profitability did 3 major things for the company. First, it gave us more operating freedom. We were more confident investing in areas like product and marketing without worrying about running out of money. Second, when we did eventually raise more money, we were able to do so from a position of power since we didn’t need it to survive. Finally, it gave us a framework to help the whole company focus on a key goal. Hitting profitability required buy in and focus from everybody. It was powerful to witness and we now use the same method to accomplish other company-wide goals. Patrick Ambron, Co-founder & CEO of BrandYourself.com. Check out my website: http://patrickambron.com/.